This section presents free classified ads for Property for sale for sale and to buy in Galway. FREEADS in Ireland is a platform to post efficient advertisements or classifieds in Galway. We help you find, buy, sell, rent or hire apartments, various goods for sale, local services offerings, cars, jobs and many more in Galway. If you are not happy with ads you see on this page please use search box above to find other items for sale in category Property for sale and location Galway or select another category. Make willerby Best make available New contact number 0867325352 or email me please and il get back to you Mobile home 37 x 12 3 bedrooms. Main double room has a en suite bathroom with shower Main bathroom also has a shower. Gas fire Central heating. Also has electric radiators if needed to be turned on if you run out of gas. 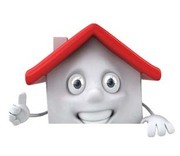 Sell you house at www.allads.ie, it's fast, easy and free, anythere in Ireland. Luxury 4 bed 4 bath with jacuzzi house for sale , also having 2 sitting rooms , large kitchen , sun room, utility & spacious hallway.Boasting spectacular views of the atlantic ocean & clifden bay would make an ideal B&B.OFCH & SOLAR HOT WATER SYSTEM & MF STOVE which also heats rads & water.5 min drive to town ideally located for all amenities. this 5unit building located on Washington Blvd near downtown Indianapolis4 units are accessible through the front door, with separate entry to the 5th unit located on the side of the property. After walking through the front door the 1st unit is located on the 1st floor, along with 2 units on the 2nd floor, and the 5th unit on the 3rd floor. Magnificent opportunity to acquire an elevated 5 acre residential holding enjoying spectacular views of Tralee Bay and The McGillycuddy Reeks. Conveniently located only minutes from Tralee. Residential, Bungalow - 3 Bedroom(s) Directions: Take the Kielduff road, pas Glenduff Creamery, continue for approx. Roche Auctioneer have the pleasure in offering these beautiful 1, 250 sq.ft 3 bedroom semi-detached houses for sale. These houses are situated on the outskirts of Ballyhaunis town on the Knock road. These houses are close to all essential amenities. The houses may suit as a family home or an excellent investment opportunity for rental purposes. Residential Investments: Attention Real Estate Investors: Use our Turnkey real estate investment system to purchase properties and prosper! +1 866 840 XXXX +1 866 510 XXXX www.MyResidentialRealEstatePortfolioUSA.com. John Roche Auctioneer is delighted to introduce this great investment property to the market. This commercial and residential property is located at Bridge Street, Ballyhaunis and has been a well know business for many years. The residential section contains 5 Bedrooms, Sitting /Kitchen, Bathroom and a converted attic . Ireland free ads for Property for sale, Galway, Property for sale free ads Galway, Property for sale for sale Galway, Property for sale to buy in Galway. 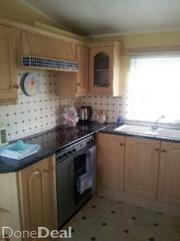 This page is a classified ads listing for Property for sale Galway. This listing includes classifieds for sale and to buy in Galway. If you posted an advertisement on Property for sale, Galway before please use Edit my ads button to change or cancel your ad. Property for sale Galway ads Galway, Property for sale classifieds Galway, Property for sale free ads Galway, ads for sale Galway, ads to buy Galway, FREEADS in Ireland. Find here ads for sale, to buy and rent in Galway. Goods for sale in Galway, vehicles for sale in Galway, Galway real estate for sale, Galway property for sale, property for rent in Galway, business ads in Galway, Galway business classifieds, services in Galway, Galway services ads, jobs in Galway, pets for sale in Galway, Galway dating, Galway cars for sale.